Tim Seastedt is a professor at the University of Colorado and fellow at the Institute of Arctic and Alpine Research. A biology professor from the University of Colorado, Boulder, is scheduled to speak at Fort Lewis College next week about how environmental changes will affect regional plants and animals. The presentation is part of a three-day visit that will have Tim Seastedt talk with U.S. Forest Service and Bureau of Land Management managers as well. Seastedts talk at FLC is Remaking the Rockies: Local and Regional Implications of Environmental Change, set to start at 7 p.m. Tuesday in Berndt Hall. Admission is free. I will report on how some strange bedfellows  increased carbon dioxide and nitrogen in the atmosphere, along with extreme events like drought and more or less frequent wildfires  are altering our plant and animal communities from the plains to the alpine regions of the Rockies, Seastedt said by telephone Wednesday. In Southwest Colorado, the effects of warming temperature can be seen in beetle-killed trees, drought and wildfires. The effects of increasing temperatures is important, Marcie Demy Bidwell, director of the Mountain Studies Institute, one of the sponsors of Seastedts visit, said Wednesday. She said researcher Imtiaz Rangwala, from the National Oceanic and Atmospheric Administration and Western Water Assessment, worked with the institute to evaluate historic trends in temperature in the San Juan Mountains using local data. He evaluated measurements from the last 100 years. The temperature in Southwest Colorado has, indeed, warmed about 1 degree Celsius or 2 degrees Fahrenheit over the past 30 years, Bidwell said. She also said David Inouye at Rocky Mountain Biological Laboratory near Crested Butte has been monitoring marmots for the last 40 years, and marmots now emerge in spring 38 days earlier than they did 40 years ago. Inouye also found that robins arrive in Southwest Colorado about 14 days earlier than in 1975, Bidwell said. Seastedt is also a fellow at the Boulder-based Institute of Arctic and Alpine Research. He is particularly interested in invasive species and how they interact with other components of global environmental change. 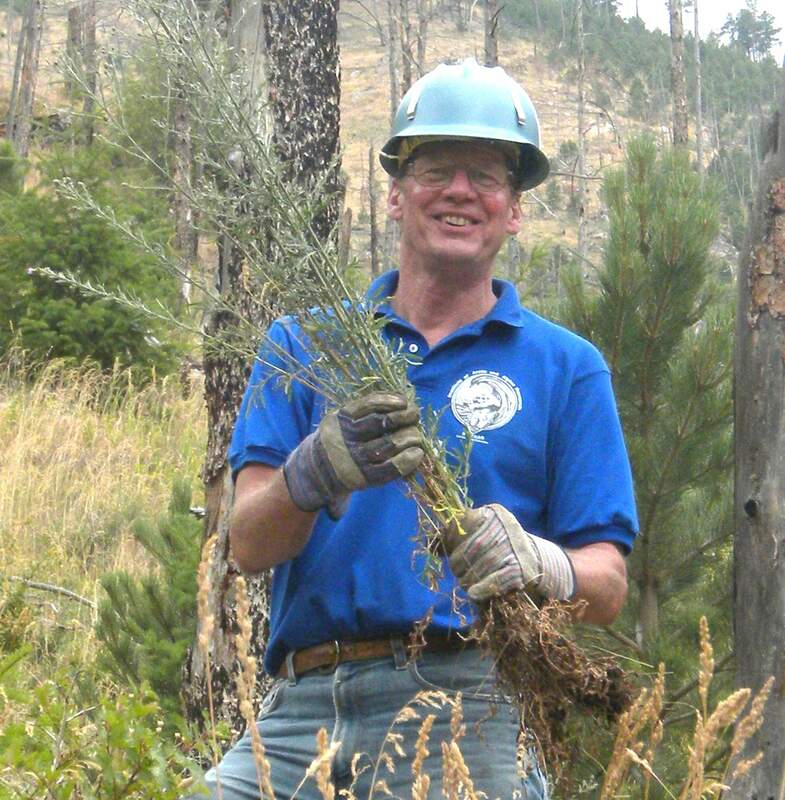 Seastedt expects a lot of his time with Forest Service and BLM managers will be dedicated to invasive species. He also will talk with school students in Silverton. University of Colorado professor of biology Tim Seastedt will speak at 7 p.m. Tuesday at Fort Lewis Colleges Berndt Hall, room CHEM 130. The topic is local and regional implications of environmental change. The event is free.